There's nothing more disappointing as a reader than picking up a book you're excited about, and strongly disliking the read. Unfortunately, my experience with BEST DAY EVER was not one I'd wish to repeat. 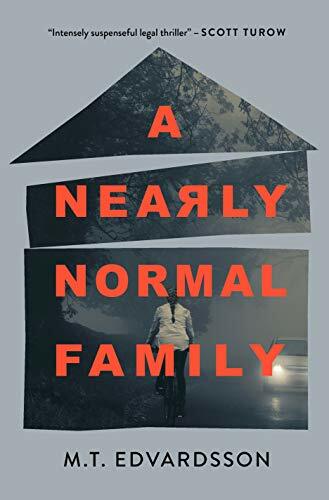 What seemed intended to deliver a twisty domestic thriller with an unreliable narrator turned out to be dissatisfying at best, and at worst a simplistic and forced attempt at the psychological complexity a crime novel can offer. Newcomers to crime fiction might be, through no fault of their own, convinced that this kind of read is exemplary of the genre; I would welcome the opportunity to steer them in another direction. 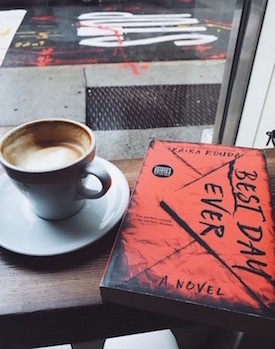 Crime fiction can offer readers true insight into human nature and the capacity for evil we all carry within us—BEST DAY EVER attempts, and fails, to achieve this. Paul Strom is the antithesis of what an unlikable character should be. Yes, he's awful - he's nasty, spiteful, controlling, and harbors genuinely repulsive views towards woman - but that's all he is. There's no sophistication, and certainly no psychological depth, with this character; what you see is what you get. The author does provide brief glimpses into Paul's terrible childhood, but it’s just not enough to balance out his otherwise simplistic and predictable actions. He's a nasty man who does nasty things, but he's lacking in the complexity or human contradictions that give such potency to the characters of books like THE DINNER and SUMMER HOUSE WITH SWIMMING POOL by Herman Koch. To make matters worse, he's not just a one-dimensional character—he is in your face with his "badness." From the first page of this book to the last, Paul Strom will not let the reader forget: he is a bad man. There's no subtlety here. Paul says horrible things and he does horrible things, and that predictable behavior oversimplifies a crime writing tool that can be used for genuine exploration of human psychology. What makes a person bad, and what internal tensions arise as they behave in this way? Unfortunately, these questions are not explored successfully in BEST DAY EVER. Perhaps that's not your cup of tea, anyway - maybe you're just looking for an entertaining and shocking read. I totally respect that - I love a lighter thriller as much as the next person. But I will say this: as a reader, I have no patience for shock value just for shock value's sake, and a story with a main character who is consistently and predictably "bad" leaves almost no room for plot twists. After all, if a character always does the worst thing possible, why should a reader be surprised by a continuation of this bad behavior? I was sorely disappointed to discover that there were no real reveals or shocking twists in BEST DAY EVER - the reader will simply discover that Paul is exactly who he seems to be from page one. For me, the saving grace of BEST DAY EVER is that it is a quick read. To its credit, it does fly by - despite my issues with it, I managed to read it in just a couple days. I did also enjoy the book's Epilogue significantly more than the rest of the read. It was the first part of this book that seemed a bit more grounded in some semblance of reality. Unfortunately, this wasn't enough to rectify the rest of the read for me, and I would not recommend it. If the intention of this book appeals to you - a domestic thriller with an unlikable main character - I can confidently recommend a number of high quality, sharp witted crime novels that succeed in delivering what BEST DAY EVER could not.